Gary Johnson has always been generous and gracious by allowing us to post his articles which pertain to west Michigan music history. 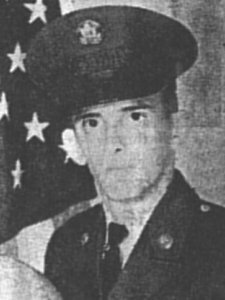 Over the last two years, we have posted his articles about Dave Kalmbach, Al Green, Jr. Walker and the Allstars, the Jujus, the Echelons and the 6th Generation. Gary has also freely shared his research data with us. Johnson’s compelling article about the American Record Pressing plant is our feature article this month. 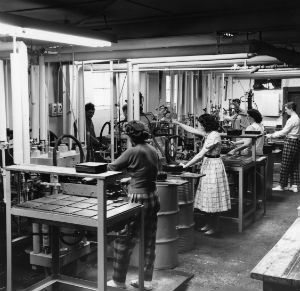 Essentially, there were very few record pressing operations in Michigan. 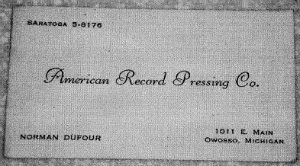 If you were a Michigan musician and had recorded and released a single or LP vinyl recording in the 1950s and 1960s, it was most likely done at the American Record Pressing plat in Owosso, Michigan. ARP’s Record presses at original location on Main Street in Owosso. 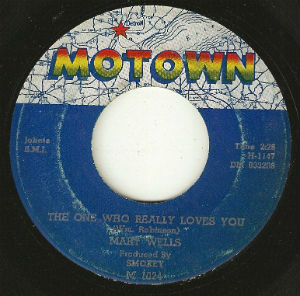 This 45 rpm single of the 1962 hit “The One Who Really Love You” by Motowns Mary Wells was pressed at ARP’s Main St. plant. 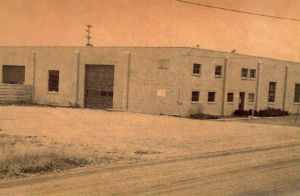 ARP’s second location at 1810 W. King Street in Owosso. 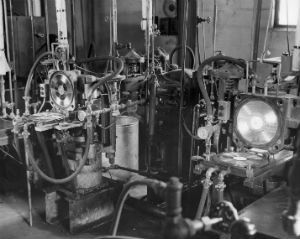 During the peak years in the 1960’s, ARP ran three shifts, 24 hours per day, six days a week. The 45’s were packed in what were called ‘popcorn boxes’ – named that because they were about the same size as the popcorn boxes that you used to get in movie theatres. There would be 25 records to a popcorn box and 4 popcorn boxes in a foot-square cardboard box (100 records to a box). 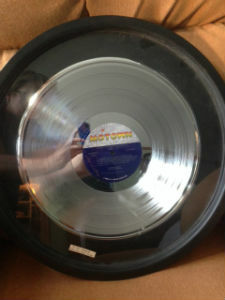 All 45s were in white generic sleeves except for Motown which had its own sleeves with label names. At its peak, in the mid-to-late 60’s, ARP was producing about 3,000,000 7-inch 45 rpm records per month. All of the pressings done at American Record Pressing had the tiny “ARP” symbol in cursive script pressed in the outer grooves. The symbol is so small that it requires a magnifying glass to see it. 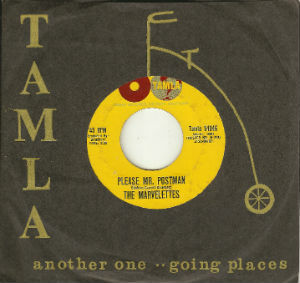 Mellentine claimed that it was difficult to keep up sometimes, especially on some of the big Motown 45s that were in great demand. Later on, after he had begun to move up the ladder at ARP and started wearing a white shirt to work, he got to listen to the test pressings in the ARP sound room that plant manager John Ivantis had built. Mellentine recalled that he would often get goose bumps listening to some of the new Motown releases. It would be the first time that any of these records had been heard on vinyl. Motown Marvelettes Tamla sleeve – Motown singles pressed at ARP had their own custom record sleeves. 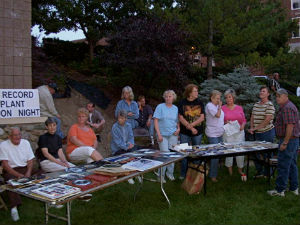 Most of the time, however, they would go to dances in nearby Chesaning or at the local Owosso Armory. 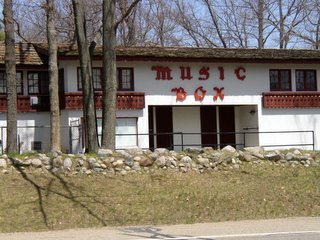 Oftentimes the dances would feature teen bands from the area, but they also booked major Michigan acts like Terry Knight & The Pack and the Bob Seger System, and even some national recording acts such as Gary Lewis & The Playboys. Mellentine recalled that Seger and his band played dances after basketball games at Owosso High School. Those were the days. As the decade came to a close, however, changes were afoot in Detroit. Late in 1967, just months after rioting burned businesses and homes in the area surrounding Hitsville U.S. A., Motown’s top songwriting and record production team of Brian Holland, Lamont Dozier, and Eddie Holland left the company in a dispute over money. Their departure was a big blow to the company as the Holland-Dozier-Holland team had been responsible for most of Motown’s biggest hits during the past five years. In addition, Motown had established a second base of operations in Los Angeles, California; and not only was Berry Gordy spending more time there, but many of Motown’s popular new acts like the Jackson 5 were now recording there. 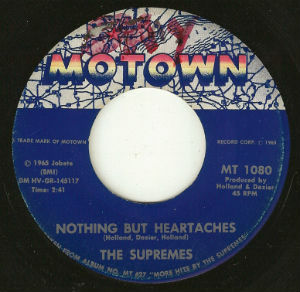 Motown’s most important artist during the 1960s was The Supremes. ARP pressed all of the trio’s 25 Top 40 hits, including 12 that reached # 1. 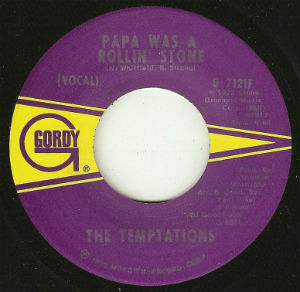 “Papa Was A Rollin’ Stone” by The Temptations was one of the last Motown singles pressed at ARP before the fire. 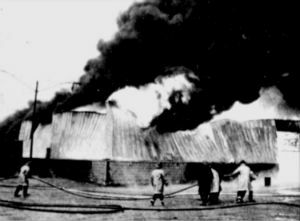 Looking back, Mellentine remembered that there were some “weird happenings” on October 29th, the evening before the fire. There was no manufacturing shift that Friday night, and there was just one security person in the building. Jeff was home with his wife and six-month-old son when got a call that night from the security guard who said he had eaten something from the vending machine that made him sick and he wanted to go home. Mellentine replied that he couldn’t give him permission because the guard worked for the security company, not ARP. 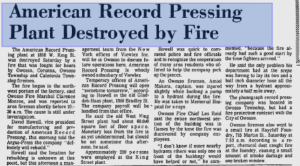 The ARP safe was the only item to survivee the fire. 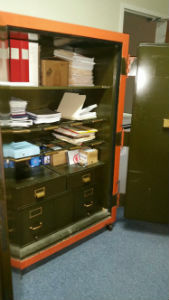 The safe is currently being used by Jeff Mellentine’s company. 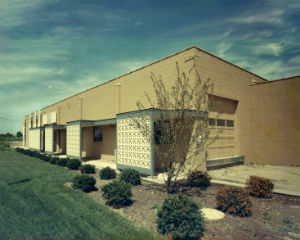 With Norman Dufour’s help, Mellentine bought the ARP property back from Electrosound years after the fire. Dufour loaned him the money to make the purchase. The remains of the ARP building and its contents had been demolished and bulldozed into several large holes that were dug into the 30 acre parcel of land. The only thing that was left was a large concrete slab. After leaving Electrosound, Mellentine started his own company, World Media Group, out of his home in Los Angeles. After a couple of years of outsourcing everything, he got frustrated that he didn’t have his own plant. Jeff then moved to Indianapolis, bought a house, and started working above his garage. After outsourcing for 6 months, he rented a 5,000 square foot facility for World Media Group. He bought some packaging equipment, some cassette duplicating machines and started commercially manufacturing audio cassettes. Mellentine next developed a graphic arts division and by around 1999 got into the disc making business, investing millions into clean rooms and laser cutting.